Home > The Credit Crunch > What Does Bank Nationalisation Mean for me? The 'credit crunch' has been the biggest news story in recent years. Particularly within the past few weeks, the disastrous state of the world economy has been plastered across front pages on a daily basis. Until very recently, the idea of a bank being nationalised was completely unthinkable. However, the rules of the game have changed significantly; as the money markets have seized up, the ability of almost every major bank to operate in a normal way has been reduced to a previously unimaginable degree. As such, the government has announced that money is to be made available to all major financial institutions, on application. This amounts to a part nationalisation of some of the largest high street banks. As a taxpayer, the implications for your money are manifold. 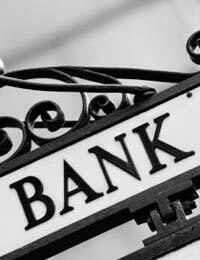 At the forefront of most people's mind is whether or not money that they have deposited in a bank is safe. There are a number of factors to consider here. The first is that, as the government has taken part ownership of the banks, they have also taken on part responsibility for their finances. The 'recapitalisation' of these organisations is intended to ensure that each bank has sufficient capital to operate properly. Primary amongst the government's concerns is the security of depositors' money, and they have insisted on each bank fulfilling certain requirements in this area in order to qualify for support. Furthermore, the government has offered to provide security against inter-bank lending. One of the major problems facing banks was their inability, or unwillingness, to lend to each other. This guarantee scheme should encourage this lending to begin again, which will further ease the strained finances of some of these institutions. For most people, this part nationalisation will have little effect on their money – although we will all see either tax rises or spending cuts in order for the government to pay for the bail out.. Most depositors have less than £50,000 in any one bank, and they are therefore completely protected under the Financial Services Compensation Scheme. There is some concern over the scope of the scheme; some suggest that, were a bank to collapse, the FSCS would be unable to raise sufficient money to cover all of the relevant deposits. However, the government has addressed this problem by allowing the Scheme to apply for loans if they are needed. It is worth remembering, however, that the newly part-nationalised banks will not offer the same security as the wholly nationalised Northern Rock. Furthermore, if you have money in Lloyds TSB and any bank owned by HBOS, you will be affected by the proposed merger of these institutions. After the merger is complete, it is likely that both institutions will operate under a single license, meaning that you may lose money under the FSCS if you have a total of more than £50,000 in separate accounts. Of course, you would still only lose money if the bank went under, and this is highly unlikely. Perhaps of more immediate concern is the fate of shareholders in the affected banks. A single HBOS share was worth almost £9 this time last year; it is now worth around 85 pence. This will clearly affect all those with shares, and many with market-based pension plans. You should remember, however, that the value of these shares will almost certainly rise; most advisers are suggesting that, if at all possible, you should sit it out and wait for your loss to be mitigated.